How do you maximize the revenue or profit for a business? where Q is the annual number of admissions in billions to North American theaters and P is the average price of a ticket in dollars. a. Find the function that describes the total annual revenue from North American theaters as a function of the average price of a ticket P.
For this problem, the price is represented by the variable P and the quantity is described by the demand function. Since the function is specified as a function of the price P, the formula is written with the variable P and not the variable Q. The units on the revenue are determined by the units on the price and quantity. The units on the average price per admission are dollars and the quantity is in billions of admissions. Thus the product has units of billions of dollars. a. At what average ticket price will revenue be maximized? The first derivative test allows us to track the sign of the derivative and to classify each critical value as a relative extrema or something else. At the critical value P ≈ 0.81, the graph changes from decreasing to increasing. This critical value corresponds to a relative minimum. At the other critical value, P ≈ 7.29, the graph changes from increasing to decreasing. Consequently, this critical value is a relative maximum. The graph at the critical value P ≈ 7.29 is concave down so this must be a relative maximum. This behavior is exactly the same as the behavior determined by the first derivative test. This means that an average ticket price of $7.29 maximizes revenue at 9.96 billion dollars. Follow the parts a through c to find the quantity of beer sold that maximizes profit. a. Find the total revenue function TR(Q). b. Find the profit function Pr(Q). c. Find the quantity sold Q that maximizes the profit function Pr(Q). This derivative is defined for all non-negative quantities Q so the only critical values come from where the derivative is zero. Let’s place this critical value on a first derivative number line and test the derivative. Since the derivative is positive on the left and negative on the right, we know the function increases and then decreases when we move left to right. The critical value corresponds to a relative maximum. At the critical value, Pr″(223.8) = -0.6488 so the function is concave down. This also tells us that the critical value corresponds to a relative maximum. At a sales level of 223,800 barrels of beer, the maximum profit of $11,549,353 is achieved. 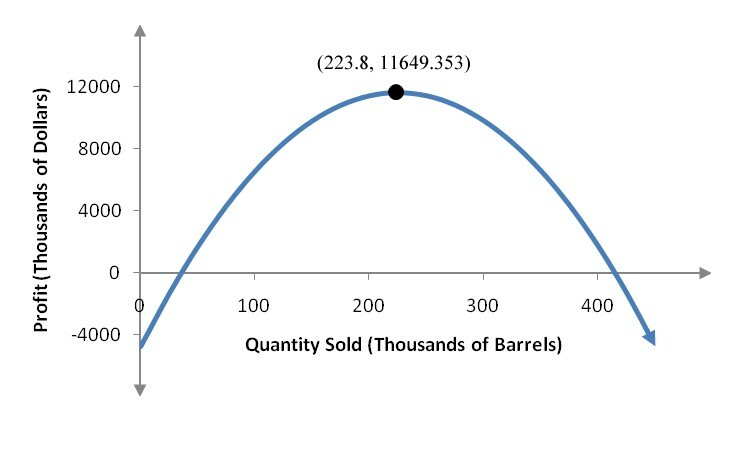 Figure 1 – The profit function for the Redhook Brewery with the relative maximum labeled. Goto Question 2: How do you minimize the average cost for a business?